Our next two episodes of Peralta Matters highlight the crowning jewel of our recent facilities construction projects, the Barbara Lee Center for Science and Allied Health. 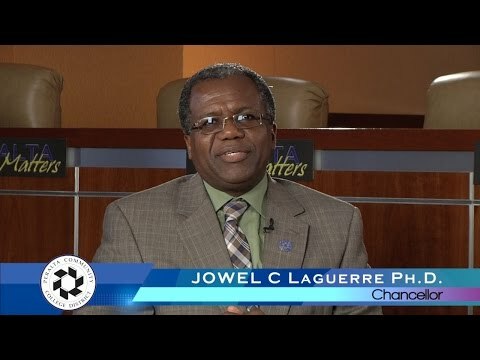 Our guest host, Chancellor Jowel C Laguerre, Ph.D., speaks first to student Kayla Pelletier, a successful registered nurse assistant who came back to Merritt College to increase her skills and further her career. And Biology Professor Hank Fabian describes some of the programs housed in this state-of-the-art facility, including our cutting edge Genomics program. To give you a bigger picture, we’ve included promos of other programs that are now housed in this beautiful, newly-opened facility.